Our hearts are filled with sadness over the death of our dear neighborhood horse, Chammy. 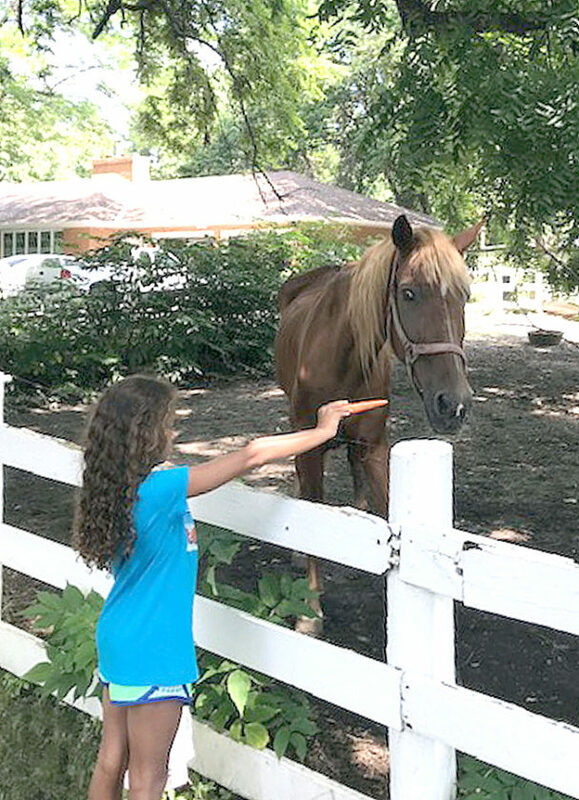 Two generations of children visited Chammy to feed him, to chat with him, pet his gentle head and how proud they were, each child knowing they had a personal claim to the adored, gentle, giant of a horse. We all will miss Chammy! Chammy has left a hoof print on each of our hearts!